Providing opportunities for academic enrichment and tutorial services to help students (particularly students who attend low-performing schools) meet state performance standards, in core academic subjects such as reading, writing and mathematics, are aligned with district Comprehensive Achievement Plans (CAP) and aligned with ESSA goals (p 12) as outlined by ODE. Offering families of students served by community learning centers opportunities for active and meaningful engagement in their childrens education, including opportunities for literacy and related educational development. 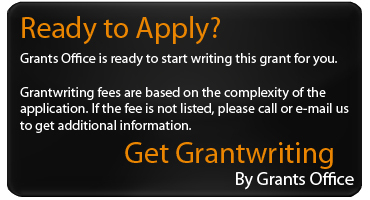 Only applicants that specifically address all three purposes identified for funding will be considered. Propose to serve students who attend schools identified for improvement (In Oregon, previously identified as Focus or Priority School). Submit jointly between at least one LEA receiving funds under Title I-A and at least one public or private community organization. Special Rule: ODE shall provide the same priority to an application submitted by a LEA if the LEA demonstrates that it is unable to partner with a community-based organization in reasonable geographic proximity and of sufficient quality to meet the requirements of this part (4204 (i)(2)). Previous awardees can be viewed here: https://www.oregon.gov/ode/schools-and-districts/grants/ESEA/21stCCLC/Documents/21CCLC%20Cohort%203%20Year%205%202017-2018.docx. Applicants for 21st CCLC grants may be schools, youth-serving agencies, faith-based organizations, public agencies, private agencies, and other organizations who can demonstrate that they have the expertise and capacity to reach the program goals. Eligible entity applicants must demonstrate a significant partnership between at least one Local Education Agency (LEA) or school district (having one or more high-poverty, Title I eligible school(s)). Applicants must also have at least one community-based organization that is not primarily an entity contracted to provide services to the program. Applications were to be submitted by May 4, 2018. A similar deadline is anticipated, annually. Title IV-B, 21st CCLC grants are awarded annually in Oregon, contingent upon federal funding, for a 5 year grant cycle. Annual renewal is based on individual program compliance with federal statute and program requirements, progress in implementing the program goals and activities, and progress in meeting program quality indicators. No grant will be funded for less than $100,000, and no grant will exceed $500,000. We expect to fund between 15 and 25 grants in this competition. Grants will be funded at 100% in years 1, 2, 3 and 75% for years 4 & 5.